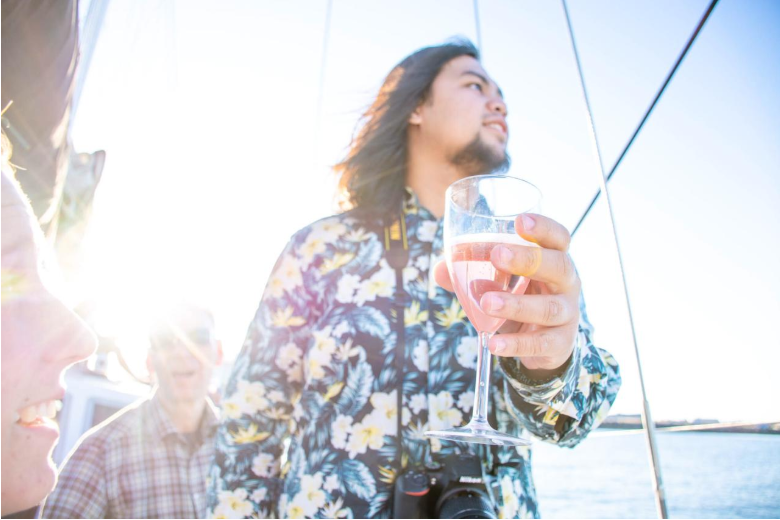 Over the past few weeks we’ve been interviewing some of the most respected and interesting travel bloggers on the internet. It goes without saying that this installment is no different, and today we’re talking to Eli from The Partying Traveler, to discuss his journeys throughout South America’s party scene and more. You’ve obviously partied in many towns and cities across South America, which would you say was your favourite and what makes it so special to you? It is hard to give one straight answer because each country has their own unique nightlife scene and even styles of partying. 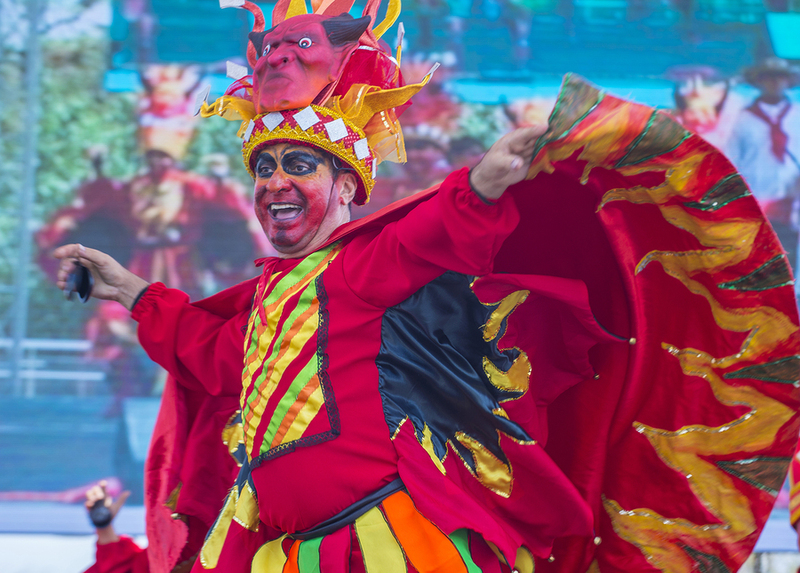 Of course, Brazil immediately comes to mind, with their Carnaval and their party capitals of Rio, Sao Paulo, and Floripa. However, Colombia might have my heart when it comes to partying. I haven’t spent enough time in Brazil to truly experience their nightlife and to me, the liveliness in Colombia was untouchable by the other Latin American countries I traveled through. A city like Buenos Aires might be objectively better than anywhere in Colombia, for example, but as a whole, the country of Colombia was where I personally had the most fun. What would you say were the biggest differences to partying in South America than in Europe? Are there any significant faux pas that someone could easily make? The culture of most South American countries is very welcoming. From Colombia to Chile, the one thing I found to be universal was how easy it was to make friends on any given night out. It usually takes a few beers elsewhere across the world for everyone’s guards to be let down and be open to talking to strangers. In South America, you can pretty much befriend anyone who comes by. I’ve never had an easier time making friends with locals than when I was in South America. Often times, locals might just call you over to their table and ask you to sit with them. I didn’t find there to be any faux pas that would cause any significant problems. In fact, I’d say it’s the other way around. The affectionate and passionate culture of the Latin Americans might seem strange or overly friendly to someone in a European or North American country. 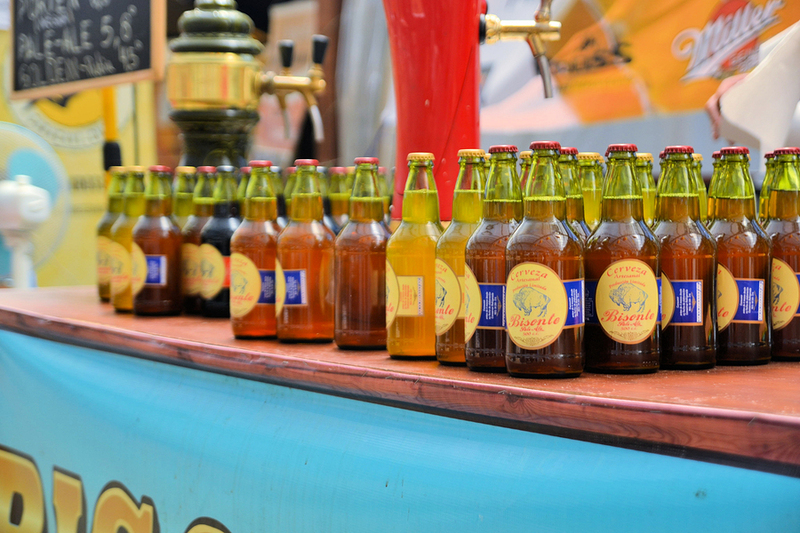 Having sampled beer from all over south America, would you say that you had a favourite? Is there any brand that you’d like to see more of at home? I really can’t say that I have a favorite. I’ll admit I was partial to Club Colombia while I was in Colombia but as the trip wore on, the brands of the beers I was drinking grew as blurry as the nights they led to. We see that you’ve been on the infamous Death Road in Bolivia. We’ve just spoken to a lady about this very place, but did you yourself have any hairy moments, or areas that you thought were just a bit close going? There were parts of the road that seemed a bit slick but nothing that really threw me off too much. It was an adrenaline rush for sure, and one that I had been seeking out for quite a while in South America. I definitely enjoyed myself more than most of my other friends. There was one brief scare where my bike skidded in the sand but I managed to somehow keep the bike upright. Thankfully, that was towards the end once we had finished the narrow stretch along the cliffside, so even a rough wipeout would not have been deadly. You’ve been to many places in Peru and enjoyed a lot of experiences, but what would you say was your stand out adventure? Of course, the 5-day Salkantay Trek to Machu Picchu stands out to me as one of my greatest experiences. However, I’m sure that’s been beaten to death in these blogs and interviews so I’ll go with something else. One thing I did that I’m sure not many other people can say they did was mountain bike down a volcano. It was really challenging and the terrain was quite difficult at times. I actually decided to do it a couple of weeks after I did Death Road in Bolivia because I was hoping to recreate that initial adrenaline rush that Death Road gave me. The volcano was called Picchu Picchu just outside of Arequipa. I went with a guide who drove us about halfway up the volcano before letting us loose with our very low quality “mountain bikes”. The terrain was tricky and very rocky with long stretches of almost unnavigable sand. All five of us survived the journey which was as mentally tasking as it was physically. As far as Peru’s lesser-known attractions go, I think this is one of the more exciting adventures for adrenaline-seekers. I mean, how many people can say they’ve mountain biked down a volcano? As you say in your blog about your 10 favourite cities, Lima is one of the gastronomical capitals of the world, was there any type of food that stood out for you while you were there? Lima is best known for its ceviche and I can definitely vouch that it is some of the best in the world. I love seafood and I made sure to eat as much seafood as I could while I was there. Arroz con mariscos is a pretty simple plate that I found myself eating almost every day as well. When you break it down, it pretty much is just seafood fried rice but with some of the freshest mussels, shrimps, squid, and fish that you could imagine. In terms of unique foods, the cuy is one of Peru’s most famous dishes. It is eaten widely by the locals and is considered to be a must-try novelty for travelers making their way through Peru. It is a fried Guinea Pig that is usually served whole. I ordered it once and did enjoy it, but it didn’t particularly stand out to me. I also heard somewhere that Lima has a ridiculous number of restaurants, numbering around 600,000 I think, so there’s something for everyone. As long as you have a pisco sour to wash down your meal, finding something you’ll like in Lima should not be an issue. In the same blog, you rated Cusco as your number one city in South America. What would be the one attraction or area that you would recommend someone to experience during their stay there? The city of Cusco itself might not objectively be the best city in South America, but as someone who loves the outdoors, it is one of the best kickoff points for all of the adventures you could ask for. The Salinas de Maras, Sacred Valley, and of course Machu Picchu all typically use Cusco as the kick off point for those adventures. Cusco is quite literally the gateway to adventure. 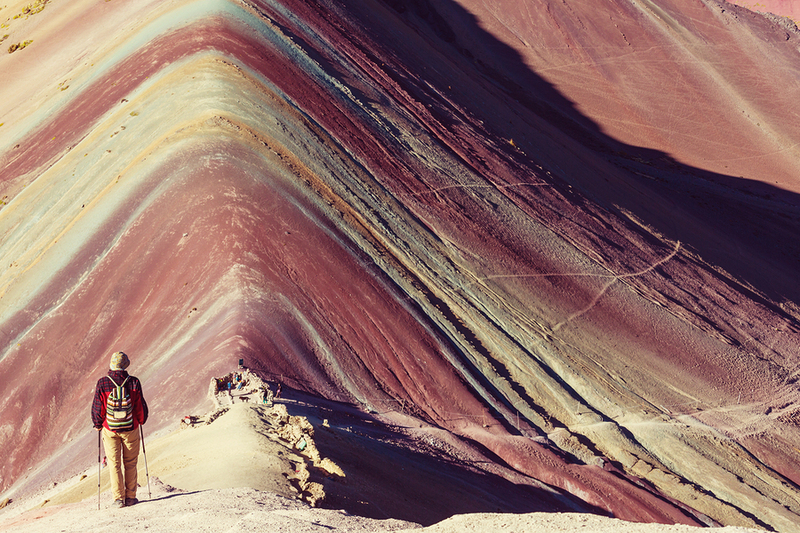 However, the iconic Vinicunca Mountain (better known as Rainbow Mountain) is ever growing in popularity and for good reason. I went over two years ago, just before the stunning cascading colors of the mountains became something you saw every day on Instagram. The journey requires you to be up at 3 AM to leave Cusco but it is well worth every struggle that you will face. The altitude is the biggest challenge for hikers. Out of the 16 people in my trekking group, only two people made it the entire way without having to use a horse. Within ten minutes, our entire group was out of breath and opted to hire a horse. I stubbornly decided to push through and went for about an hour before my head started pounding and everything started feeling hazy. It felt like a mixture of being drunk and hungover at the same time and thankfully at one of the checkpoints, I was able to hire a horse. It drops you off less than a kilometer from Rainbow Mountain, so that final stretch is all you need before finally arriving at the stunning Rainbow Mountain. Be warned though, at pretty much all times of the year, the weather is absolutely unpredictable. It rained, snowed, and was sweltering hot all within just a few hours during the trek. The trek itself isn’t too long but it is one of the most challenging ones I have ever faced. 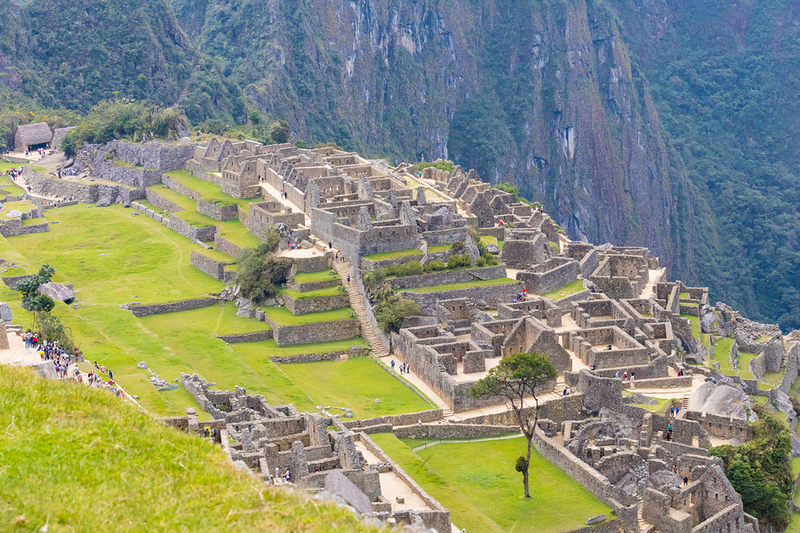 After surviving it, it made the 5-day trek to Machu Picchu almost feel like a breeze. It definitely shocked my body into adjusting to the altitude that I hadn’t taken seriously at first.